Are you looking for commercial and domestic roofing services in Albury? At Eco Roofing, we carry out an extensive range of roofing repairs, maintenance and installation. Whether you are working on a new build or refurbishment project, our expert team can cover all aspects of roofing installation, maintenance and repairs. 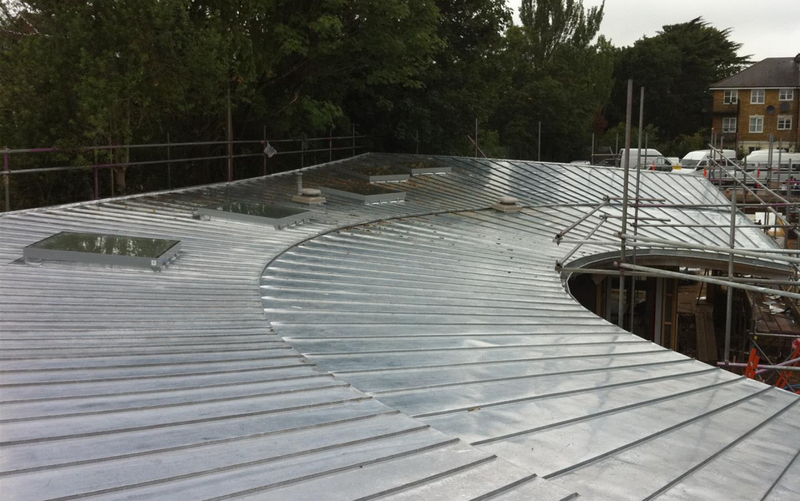 Here at Eco Roofing, all our employees are skilled and fully trained tradesmen. With many years’ experience in the roofing trade, we understand how crucial it is for your roof to be installed correctly, lawfully and professionally. We are able to provide you with a detailed and accurate quotation on the project you are looking to complete. Our team of roofers are experienced and knowledgeable in building around smoke stacks, air flow systems and external piping. This is crucial when working on commercial roofs.Meaning Eco Roofing are able to meet the demands for commercial roofing requirements. Eco Roofing have over 20 years industrial roofing experience, this includes working with the latest materials and technology to provide the best service in Albury. We pride ourselves on striving ahead to keep up with the ongoing changes in roofing systems. Whether you are looking at replacing your old worn out roof at home or installing a roof on a new build, Eco Roofing is the only place to call. We specialise in all modern, innovative industrial roof systems that are guaranteed for up to 25 years. Not only do we install brand new, high-quality roofs; we also undertake all aspects of roof repairs. Whether you have realised there is a slate out of place or you have noticed rain has just started to drive underneath your tiles. What seems like a small problem can soon escalate into a large one if not repaired promptly. Here at Eco Roofing, we are able to repair any issue which may arise with your roof. Regardless of size, material or area, we are able to arrange for a member of our team to come to your property and solve your issue quickly, professionally and correctly. We urge you not to make the mistake of putting it to the back of your mind, dealing with it at the first signs can prevent a lot of potential hassle for you and your home. If you would like to enquire about a roof installation within the Albury area, or you have spotted an issue with your roof which needs to be resolved, call us today on 020 8657 7725.